Kyuragi’s claim to fame is the story of Sayouhime, and there are many things deifying her dotted around: the slightly creepy rotating statue being the most prominent one. The Sayouhime no Yu onsen alone is worth the trip here. Sayouhime no Yu – Kyūragi’s onsen, Sayouhime no Yu, is located across from Kyūragi Elementary School. It offers standard group baths, reserved private baths, a stone sauna, and a banquet hall on the top floor. Sayouhime no Yu is closed on Tuesdays. Sayouhime Statue – There is a large revolving statue of Sayouhime located outside of the Kyūragi Road Station. Hizen Torii – Kyūragi’s Hizen Torii is the oldest stone torii in Saga Prefecture. It was dedicated in 1574 by the lord of Shishiga Castle and is located behind the Kyūragi Shisho on the path to Murozono Shrine. Yamaguchi Okonomiyaki – Yamaguchi Okonomiyaki is a small, delicious okonomiyaki shop located in Iwaya. Kyūragi Dam – Kyūragi Dam is located on Mount Tenzan, on the way to Amagawa. The views along the dam are wonderful, and the surrounding walking paths are very nice. Shishi Ouzan Myouhou Temple – The temple is located in Iwaya. It features the largest porcelain mural in all of Japan. 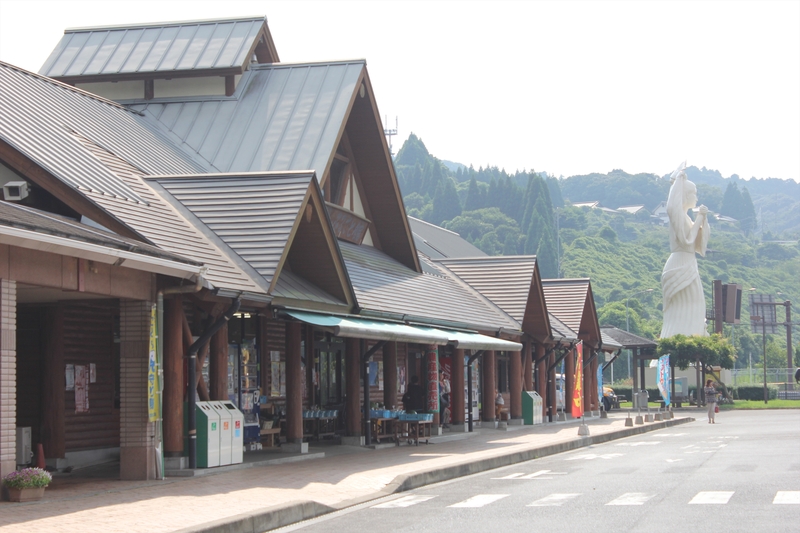 There is an adjoined onsen, which claims to heal various health conditions. Kaze no Furusato Matsuri – A large festival with various events celebrating the culture of Kyūragi, including traditional carpentry workshops, student and senior musical performances, locally operated food stalls, and games. It is held in late November. Kyūragi River Ayu Matsuri – The Ayu Matsuri is a celebration of Kyūragi River. People gather around the river to fish, grilling and eating what is caught. There is also a fireworks show near the Community Center. It is held in late July. Nakashima Yamagasa – The Nakashima Yamagasa is a float festival, similar to Karatsu Kunchi. The float is hauled around the Nakashima area. Many people open their homes, offering food and alcohol to those pulling the float. It is held during the second weekend of October. Mountain climbing – Kyūragi is surrounded by mountains, many of which have pleasant climbing paths. Tenzan, Sakureizan, Hachimandake, and Onnayama are all accessible from Kyūragi.